In a business environment carpets are often left until they pick up so much dirt and staining and end up requiring costly replacement. Carpets or contract carpet tiles require more than daily vacuuming and it is recommended that they are maintained on a regular basis. Carpet cleaning can save hundreds or thousands in the longer term and can dramatically extend the lifespan of the carpets. How often should our business clean our carpets? The frequency of any carpet clean is very much dependant on the environment. 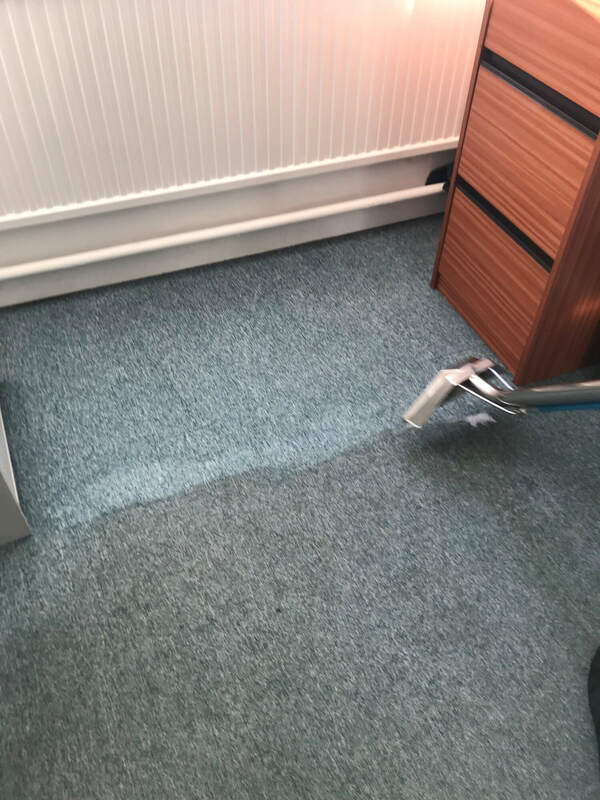 Your carpets are also likely to be more heavily soiled in certain areas, for example the main entrance or reception, main walkways and corridors and meeting rooms. We can provide a cost breakdown for carpet cleaning to be undertaken in different areas at different frequencies. How much will carpet cleaning cost? Carpet cleaning is often a cost that isn't factored in to annual budgets and often can arise when carpets start to look dirty or stained. The cost of cleaning carpets can vary significantly. We don't charge 'by the square meter', which can work out more expensive; rather we charge based on the time it will take, the type of staining and equipment and cleaning products used. We recognise how difficult it can be to justify the cost of a regular maintenance carpet clean. We offer our regular cleaning customers different options to help spread the cost or budget for the cost. This allows customers to include carpet cleaning maintenance more frequently which vastly improves their working environment. 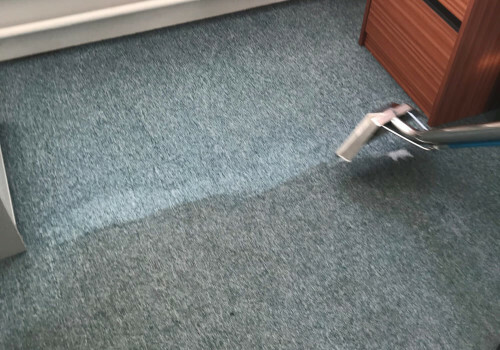 We also provide carpet cleaning to other businesses who are not currently regular cleaning customers by providing a one off cost as required. What are the benefits of getting our carpets cleaned? Regularly maintained carpets should last a very long time. We have seen vast improvements to carpets which haven't been cleaned for 20+ years, and with the right ongoing cleaning they should last many more to come. Clean carpets present a good first image and are also a huge contributor to a healthy working environment. Regular carpet cleaning does prolong the life of the carpet, and can save your business money in the longer term. Replacing carpet or carpet tiles is hugely expensive. You may think your carpet is past it's best but often it is fully revived after a good deep clean. How will you clean the carpets? We use various methods to clean carpets, carpet tiles or entrance mats etc to remove even the heaviest of soiling. Using the latest high spec commercial equipment allows us the flexibility to clean more efficiently. Our high powered twin vacuum extraction carpet cleaner has the power of a truck mount machine, but is portable allowing us to get to every area. The powerful twin vacuums ensure that carpets are touch dry immediately after cleaning and fully dry within 3-4 hours. This, combined with our expert carpet technicians and professional quality carpet cleaning chemicals ensures the very best results. We can also provide specialist treatments such as: anti-static treatments; anti-bacterial treatments; stain guards etc. This can be discussed should it be required. If you want to speak to us to request a quote for carpet cleaning, please contact us on 01506 414452. We will leave your carpets looking great and smelling fresh.